The Code of Ethics and the associated Clark Center policies and procedures apply to virtually everyone who has a relationship to the Clark Center, including but not limited to, Board members, officers, employed and non-employed staff, vendors, volunteers, consultants and contractors. Everyone must adhere to both the spirit and the letter of the standards of conduct set forth in the Code. Employee job performance will be evaluated, in part, based on compliance with the Code and with the Clark Center’s compliance-related policies and procedures. Anyone who violates the Code or related policies and procedures will be subject to disciplinary action. Certain Clark Center compliance policies are referenced in this Code. Employees have a duty to know, understand and comply with the requirements of all these policies, regardless of whether they are referenced in this Code. governing laws, regulations and Clark Center policies and procedures. Everyone must offer their complete cooperation with any investigation by the Clark Center and/or governing authorities. Ensuring compliance with the many laws, rules, regulations and industry standards that govern the operations of the Clark Center requires teamwork. For this effort to be successful, everyone who is employed by or affiliated with the Clark Center must work together. We cannot continue to act with honesty and integrity without your help. You are required to report to the Corporate Compliance Officer any actual or suspected violations of Clark Center policies and procedures and/or Federal or state law. You also must report any ethical breaches, conflicts of interest, fraud or other misconduct of any type relating to the operations of the Clark Center. The failure to comply with the laws and/or to report suspected violations of state or Federal law can have very serious consequences for the Clark Center and for any affiliated individual who fails to comply or report. The individual may be terminated from employment (or from his/her contractual arrangement with the Clark Center) or be subject to other disciplinary measures, depending on the nature of the violation. Reports of suspected compliance problems and perceived violations of the laws can be made to your supervisor or to the Corporate Compliance Officer. The Clark Center’s supervisors and directors have a special responsibility to set the right tone. They are responsible for making sure that their work areas reflect the Clark Center’s commitment to compliance and quality healthcare. Supervisors and Directors are expected to create a work environment in which concerns can be raised and openly discussed without fear of retaliation. Even if an employee has criticisms or raises an uncomfortable question, supervisors and Directors must welcome the communication, always remembering that openness is essential to a healthy work environment. The Clark Center maintains a vigorous Compliance Program and strives to educate our work force regarding the importance of submitting accurate claims and reports to Federal and state governments, as well as regarding the requirements, rights and remedies of Federal and state laws governing the submission of false claims, including the rights of employees to be protected as whistleblowers under such laws. We recognize that questions, concerns or disputes sometimes arise. We believe that it is in the best interest of both our employees and the Clark Center to resolve those questions, concerns or disputes in a forum that provides the fastest and fairest method for resolving them. As a Clark Center employee or affiliated individual, you have an obligation to report concerns using the internal methods listed above and to understand the options available should your concerns not be resolved. We do not permit anyone to retaliate in any manner against an individual who reports any potential compliance problem or violation of law in good faith. The Clark Center also prohibits anyone from intimidating an employee who discloses a compliance concern. The Clark Center will immediately investigate and take appropriate action with respect to all suspected acts of retaliation or intimidation. Any individual who is found to have retaliated against an employee or intimidated an employee will be subject to immediate discipline, up to and including termination of employment. The Clark Center is committed to investigating all reported concerns promptly, thoroughly and confidentially, to the extent possible and appropriate. The Corporate Compliance Officer directs the investigation of compliance concerns. We expect all colleagues to cooperate with investigative efforts. Where an internal investigation substantiates a reported violation, we initiate corrective actions or other changes that need to be made in order to remedy the problem. These actions can include making prompt repayment of any overpayment amounts, notifying the appropriate government agency, instituting disciplinary action and implementing systemic changes to prevent a reoccurrence of the problem. Medicaid payments is required to provide information to its employees about the Federal False Claims Acts, the rights of employees to be protected as whistleblowers and the employer’s policies and procedures for detecting and preventing fraud waste and abuse. The Federal False Claims Acts impose liability on any person who submits a claim to the Federal government that he or she knows to be false. The Acts also impose liability on individuals who knowingly submit a false record in order to obtain payment from the government or who obtain money from the Federal government to which he or she is not entitled and then use false statements or records in order to retain the money. The Acts permit private parties to bring actions to recover money on behalf of the United States and to share in a percentage of the proceeds obtained by the government. Persons who bring these actions are protected against retaliation. The Clark Center’s number one priority is the delivery of the highest quality of client care possible. We treat all of our clients equally with compassion, understanding and respect. We provide only care which is medically necessary and appropriate. Our main concern is for the well-being, comfort and dignity of our clients. We do not make a distinction in the availability of services or the care we provide based on age, gender, disability, race, color, religion, national origin, actual or perceived sexual orientation, marital status, veteran status or based on the source of payment for the client’s services or the client’s ability to pay. All clinical decisions are based upon identified health care needs regardless of how the Clark Center compensates or shares financial risk with any individual or entity. 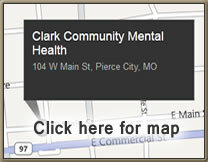 Our commitment to quality of care and client safety is an obligation of every person affiliated with the Clark Center. If any circumstance arises where you have a concern about quality or client safety, you have a duty to raise it through the appropriate channels at your facility or to the Corporate Compliance Officer until it is properly resolved. All client care at the Clark Center is provided with a statement of their rights and with a Notice of Privacy Practices. These client rights include the right to make decisions regarding medical care, the right to refuse or accept treatment, the right to informed decision-making and rights related to how the client’s health information is maintained by the Clark Center. We listen to and follow the choices made by our clients with respect to their clinical care, as required by law. We are responsible for informing clients about their proposed plan of care including the risks, benefits and alternatives available to them. We respect clients’ rights to make informed decisions about treatment. Clients are free to choose their service providers. We demonstrate our respect for our clients by protecting the confidentiality of all personal information they share with us for the purpose of receiving quality care. This information, known as “Protected Health Information” or “PHI,” can include clients’ names, addresses, phone numbers, Social Security numbers, medical diagnoses, family illnesses and other personal information. Federal and state laws, as well as quality of care standards, require us to keep this information confidential. Clark Center employees who are clients in our facilities also must be accorded the highest level of confidentiality with respect to their medical records and the PHI contained in them. We must never use, disclose or discuss client-specific information except as necessary for client care or as required by law. Subject to emergency exceptions, client privacy will be protected and client-specific information will be released only to persons authorized by law or by the client’s written authorization. It is never appropriate to discuss clients or their cases in a public area where conversation may be overheard by others. It also is inappropriate to permit access to a client’s record to individuals who are not involved in legitimate activities relating to the client. We must remember that these rules apply to employees’ medical records when they are receiving medical care at health system facilities. If you are unsure of the rules governing the release of client related data, ask and be sure you understand them before you release any information. Anyone affiliated with the Clark Center who engages in unauthorized disclosure of client information will be subject to disciplinary action up to and including termination of employment. Individuals also may be subject to civil or criminal penalties. If you become aware of an unauthorized disclosure of client information, you must report it immediately to your supervisor or to the Office of Corporate Compliance. The Clark Center prohibits retaliation against any person who makes a good faith report of a privacy violation. One important aspect of our commitment to high quality client care is the proper credentialing of all health care providers associated with our institution. We ensure that our providers are appropriately credentialed and that their work is within the parameters of their respective licenses. We conduct credentialing reviews not only for permanent full time employees whose work requires licenses, but also for temporary and contracted staff. Credentialing reviews occur before the relationship between the Clark Center and an individual commences. We recertify those credentials every two years thereafter. We also conduct background checks on individuals who work in our facilities, regardless of whether their position requires a license, to ensure that they do not have criminal backgrounds. Missouri requires us to report to the Department of Mental Health certain adverse client events within 24 hours after their occurrence. Our health care providers are required to report such incidents to designated Clark Center administrators immediately upon learning of them. Failure to do so constitutes an unacceptable practice and is grounds for discipline. We are committed to the full and prompt investigation of every adverse event and to the implementation of corrective or remedial action where appropriate. We market the Clark Center’s services in a fair, truthful and ethical manner. Our marketing materials are designed to reflect only the services available and the level of the provider’s licensure and accreditation. The Clark Center uses marketing and advertising to educate the public, report to our community, increase awareness of our services and to recruit staff members. We make every effort to ensure that entries we make into client records are clear and complete and reflect exactly the item or service that was provided to the client. The Clark Center strives to ensure that our records never include guesswork, exaggeration, or miscoding. In any situation where deemed necessary, the agency will regard the witnessing of signature to be accurate and accountable. When required, the signature may be witnessed by a notary public. Generally a person chosen to witness a document should have no financial or other interest in an agreement. A neutral third party is the best choice. The witness is not usually required to know or understand the contents of the document. A witness must be of legal age and mentally capable. The Clark Center is a tax-exempt entity because of its charitable mission. We provide community benefits that include health care services, medication services, education, and community outreach activities. The Clark Center must use its resources in a manner that furthers the public good rather than the private or personal interests of any individual or entity. One of the most important aspects of the Clark Center’s commitment to compliance is our dedication to the preparation and submission of accurate claims for payment to Federal and state health care programs. We have a zero tolerance policy with respect to billing for improper claims. All claims for payment for any service provided by the Clark Center must be supported by complete documentation in the medical record, proper coding based on that record and bills that accurately reflect the coding. We can bill only for those goods and services actually provided and medically necessary. Accurate and timely documentation also depends on the diligence and attention of physicians, clinicians and care coordinators in our facilities. We expect those staff to provide us with complete and accurate information in a timely manner. The Clark Center should always bill accurately for services rendered in accordance with the law and with its agreements with third party payors. When we receive a question from a client or a third party payor about an invoice or charge, we promptly address the question, if authorized to do so, or refer the matter to the person who is authorized to address it. Unresolved disputes regarding a client’s bill are referred to a supervisor for resolution. The Clark Center receives reimbursement under Federal and state health care programs. These programs require us to submit complete and accurate reports of its costs of operation and other information. We comply with all applicable legal, regulatory and program requirements in the preparation of our cost reports. These laws, regulations and guidelines define what costs are allowable and outline the appropriate methodologies to claim reimbursement for the cost of services provided to program beneficiaries. The Clark Center prohibits its employees and other service providers from offering, paying, asking for, or accepting money or other benefit in exchange for client referrals, purchases, leases or orders. Our partners — schools, contractors, physicians, court system and others with whom we do business — are vital to our success. We always treat them with respect, professionalism and fairness. Our clients and the community we serve frequently associate our business partners’ performance with the Clark Center. We look into the background of our partners before allying with them to ensure they demonstrate high standards of ethical business conduct. The Clark Center selects our, attorneys, contractors and consultants based on the quality, price, delivery and supply of their goods and services. We obtain these services only when there is a legitimate need for them. We do not accept any form of compensation that is designed to influence the selection process. We do not pay or offer to pay anyone — colleagues, physicians or other persons or entities — for referral of clients. Similarly, we do not accept payments for referrals we make. When the Clark Center discharges clients and refers them to other providers, we ensure that the referrals are based on the client’s documented need for the referred service and the ability of the referred provider to meet that need. The client’s freedom to choose a service provider must be honored at all times. Financial relationships with providers with whom the Clark Center has a referral relationship are reviewed to ensure compliance with the relevant laws. The Clark Center engages in activities that are subject to state and Federal antitrust laws. Generally, these laws prohibit competitors from entering into agreements to fix prices or to reduce price competition. We should not provide information about the Clark Center’s business to a competitor. In addition, we are to refrain from engaging in unfair practices that might restrict competition. Accurate and complete records are crucial for the continuity of client care, appropriate and proper billing, and for compliance with regulatory, tax and financial reporting requirements. Everyone who enters information into a medical record, business record, regulatory or financial report has a responsibility to do so in a truthful, accurate, legible and timely manner. The Clark Center cooperates fully with government inquiries and investigations. We do not prevent persons affiliated with us from speaking with government officials. However, you should contact your supervisor and the CEO before doing so. When we receive a request for documents or a subpoena, we refer it to the CEO, who will coordinate the Clark Center’s response and ensure that it is appropriate and complete. We never destroy, alter or change Clark Center records. When we receive notice of an investigation or lawsuit, a request for documents or a subpoena, we preserve all related records and cooperate fully in making them ready for evaluation and/or production. In preparation for, during, or after surveys, Clark Center employees deal with all accrediting bodies in a direct, open and honest manner. No action should ever be taken in relationships with accrediting bodies that would mislead the accrediting organization or its survey teams, either directly or indirectly. In addition to client information, other information created by the Clark Center in the conduct of business, such as staff data, financial data, development plans, marketing strategies or information about pending or contemplated business deals, is confidential information that belongs to the Clark Center. We always keep this information confidential and do not use it as a basis for personal gain. When you receive confidential information in the course of performing your job duties and responsibilities you must not use it for your own or your family’s benefit and you may not disclose it to others for their personal use. The Clark Center works diligently to maintain an alcohol and drug-free environment at our facilities. We are expected to perform our responsibilities in a professional manner free from the influence of alcohol, drugs or other substances which may impair our job performance or judgment. If we suspect that you are under the influence of drugs or alcohol, you will be required to undergo appropriate drug or alcohol testing. If you are found to be performing any activity for the Clark Center while impaired by or under the influence of alcohol or illegal drugs you will be subject to disciplinary action up to and including termination of your employment. Pharmaceutical drugs may be handled only by properly authorized individuals who do so as a part of their job duties and responsibilities. You may not under any circumstances divert pharmaceuticals for personal use or sale. You are expected to protect the integrity of the Clark Center by safeguarding the drugs entrusted to you. If you become aware of any potential lapses in security, or any actual violation of any law, policy or regulation relating to drugs, you are required to immediately inform your supervisor or the CEO. We have a duty to avoid conflicts of interest and a duty of loyalty to the Clark Center. Our business conduct must always put the Clark Center’s interests ahead of our personal interests. We are obligated to avoid conduct that could create a conflict of interest or even the appearance of one. We do not use our positions or confidential information obtained in the course of our work for personal gain. We make sure that any outside jobs or positions do not conflict with our work at the Clark Center and we disclose to our Director and to the Chief Executive Officer any potential conflict that might. The Clark Center is committed to providing a workplace that is safe, healthy, smoke-free and in compliance with all applicable laws and regulations. You are expected to know the safety issues and policies that affect your job and to follow those policies at all times. It is important that you immediately advise your supervisor of any workplace injury or any circumstance presenting a danger of injury so that timely corrective action can be taken to resolve the problem. The Clark Center promotes diversity in its workforce at all levels of our organization. We are committed to providing a work environment where everyone is treated with respect, dignity and fairness. We are an equal opportunity employer and do not discriminate on the basis of race, color, creed, religion, gender, national origin, actual or perceived sexual orientation, veteran status, marital status, age or disability. We celebrate cultural and other differences because they contribute to the strength of the Clark Center. We comply with all laws, regulations and policies relating to equal employment opportunity in hiring, reductions in force, transfers, terminations, evaluations, recruiting, compensation, promotions and discipline. We make reasonable accommodations for known physical and mental limitations of qualified individuals with disabilities. The Clark Center strives to provide a workplace that is free from harassment and disruptive behavior. We do not tolerate harassment by anyone based on diverse characteristics or the cultural backgrounds of those who work with us. Degrading jokes, slurs, intimidation or other harassing conduct are not acceptable at the Clark Center. Sexual harassment can be particularly harmful to the work environment and is prohibited. This prohibition includes unwelcome sexual advances or requests for sexual favors in conjunction with your employment. Verbal and physical harassment or abuse and any other behavior that creates an intimidating, hostile or offensive work environment have no place at the Clark Center. If you engage in this conduct, you will be subject to discipline. If you observe or experience any form of harassment or violence, you must report it to your supervisor, or a member of management. The Clark Center is committed to the highest standards of excellence in the practice of behavioral health, and strongly believes that collaboration, communication and collegiality are essential for the provision of safe and competent client care. Intimidating and disruptive behaviors can foster errors, contribute to poor client satisfaction and to preventable adverse outcomes, and increase the cost of care. Safety and quality of client care is dependent upon teamwork, communication and a collaborative work environment. As such, all individuals associated with the Clark Center must treat others with respect, courtesy and dignity and must conduct themselves in an appropriate, professional and cooperative manner. Appropriate professional and cooperative behavior means any reasonable conduct intended to advocate for clients, to recommend improvement in client care and to participate in the operations, leadership or activities of the staff, including the all Staff. Inappropriate or disruptive behavior includes, but is not limited to: the use of profanity in the workplace; the refusal to speak or respond to others; inappropriate physical contact; sexual, religious, racial or other unlawful harassment; throwing objects; and/or, the destruction of Clark Center property. Breaches of Ethical Conduct by any staff member affiliated with or employed by the Clark Center will be addressed in accordance with Clark Center policies. Anyone who observes or is subjected to inappropriate conduct by any staff member can notify their supervisor, and/or the CEO. Employees who make such reports in good faith cannot be retaliated against for making the report. We are to dispose of all waste and other materials and store all chemicals and substances in accordance with applicable laws and regulations. It is important to file all necessary environmental reports accurately and promptly and to cooperate fully with all governmental authorities in the event of an environmental incident. Employees shall not engage in coercive solicitation of coworkers such as seeking donations, encouraging purchases or taking a position on an issue outside the workplace. Employees receiving unwanted solicitations are encouraged to address the issue with their coworker and/or report the matter to their supervisor and/or agency management. We do not use Clark Center revenues directly or indirectly for political activities or in support of political campaigns. We do not reimburse personal expenses related to any political activities including money spent in support of any political candidate. You may not solicit political contributions from your colleagues in Clark Center facilities. The Clark Center does not take positions on political elections or campaigns. Each of us is responsible for preserving the Clark Center’s assets including time, material, supplies, equipment and information. All communications systems including, but not limited to, telephones, computers, electronic mail, Intranet, Internet access and voice mail are the property of the Clark Center and are to be used primarily for business purposes in accordance with our policies. You have no right to privacy with respect to anything you create, store, send or receive on Clark Center computer and telephonic systems and we reserve the right to monitor and/or access all communications usage and contact. The Clark Center will not knowingly employ, appoint, elect, contract or bill for any individual or entity that has been listed as debarred, excluded or is otherwise ineligible for participation in Federal or state health care programs. Employees are required to report to us if they become excluded, debarred or ineligible to participate in Federal or state health care programs or have been convicted of a criminal offense related to the provision of health care items or services. All requests from reporters or the general public for information should be referred to the CEO. Employees should never release information without the permission of the CEO. The Clark Center recognizes and appreciates the unique role of the Peer Support Provider, Family Support Worker and Recovery Specialist. It is recognized that their role is one of a peer rather than a mental health professional and that, as such, their interactions will sometimes be to assist clients in interacting with other Clark Center personnel and other community agencies. Self-disclosure of relevant experiences, when deemed beneficial, will be employed more regularly and time spent together will likely be less clinical in nature. As this is understood, it is still expected that all peer positions will abide by the intent of the Corporate Compliance Plan and Code of Ethical Conduct. Ethics violation complaints will be in writing and submitted to supervisor within 90 days of the alleged violation. All complaints will be reviewed at the next scheduled Management Team meeting; no more than two weeks from date of submission. CEO will have 30 days to investigate allegations and make a decision as to outcome warranted. Due to the nature of the investigation, only those directly involved in the process will be apprised of details and outcomes. Grievance forms can be found at the front desk of each building or in the office of the Quality Assurance and Improvement Coordinator. The Compliance Officer at the Clark Center is the Quality Assurance & Improvement Coordinator. The HIPPA officer is the Human Resources Director.